Rob Paine Archives - Read. Think. Act. 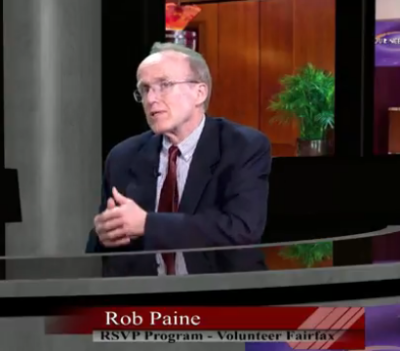 (July 25, 2018) Catherine Read interviews Rob Paine, Director of Marketing and Outreach for the Retired Senior Volunteer Program (RSVP), which is run through Volunteer Fairfax. RSVP is American’s largest volunteer network for people aged 55 and older. In Northern Virginia, RSVP volunteers are making an impact by growing the capacity of public and nonprofit agencies in and around Fairfax County, Arlington County and the City of Alexandria. RSVP is a federal government program that works in conjunction with localities to offer qualified volunteer opportunities to seniors. There are five basic areas that RSVP focuses on: veterans and military support, aging in place support for seniors, the environment, those who are food insecure, and help and support with financial literacy. RSVP works locally with over 30 organizations that have been vetted to meet the goals of the organization, and fit the requirements for their government grant. Volunteer Fairfax offers a variety of ways for seniors to get involved. Paine notes that there are meet and greet luncheons, an online option to reach out to the organization as well as simply calling on the phone and speaking with their Volunteer Coordinator Carly Hubicki. Carly is extremely knowledgeable and works hard to make sure that the volunteers are getting placed in jobs that are a good fit. And, Paine mentions, if a volunteer job winds up not working out, Carly will work hard to find a suitable alternative so seniors can remain engaged n the community. Paine believes strongly that we as a community need to understand how much seniors have to give to the community. These individuals have a wealth of knowledge and wisdom, and are excited to give back. A recent study showed that a majority of seniors said that they get more out of volunteering, than the people who they are helping. Volunteering is also an important opportunity for social interactions between seniors, especially those who are living alone. The connections that they forge through volunteer work, along with the pride they take in the work that they are doing, can greatly enrich their life. 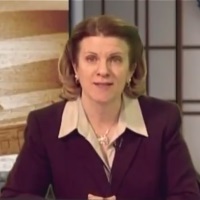 More information can be found on their website, or by simply calling the office at 703-403-5360.